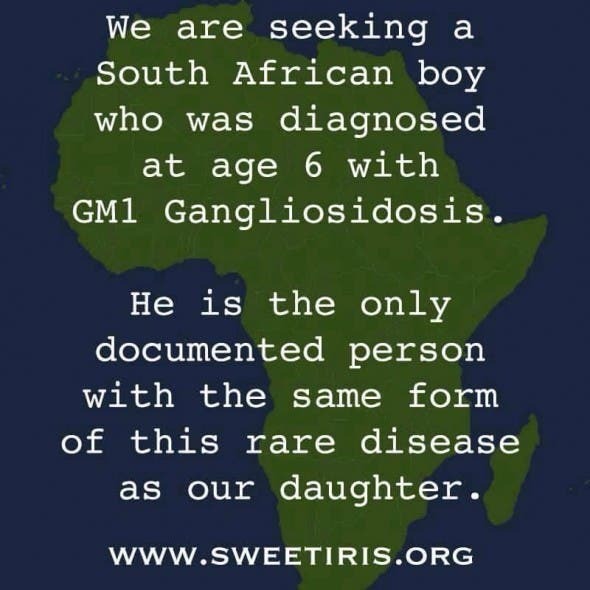 Rare Diseases South Africa has issued a heartfelt plea for South Africans to help a Californian family find a young boy in South Africa who happens to be the only person in the world to share an identical gene mutation with their 7-year-old daughter. The little girl is Iris. 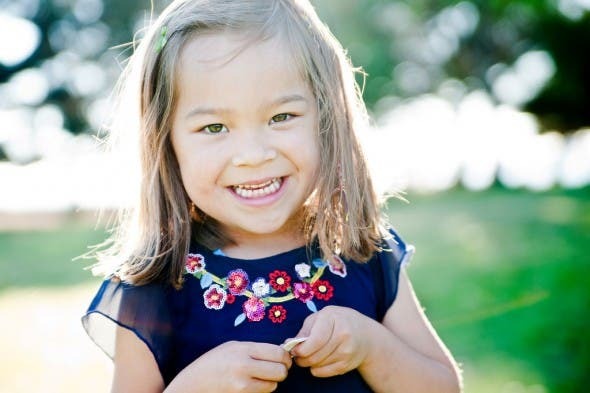 Less than two years ago, in August 2013, her family was plunged into every parent’s nightmare when she was diagnosed with a terminal disease – a degenerative neurological condition called Juvenile GM1 Gangliosidosis. According to the website that has been set up for Iris – SweetIris.org – GM1 is progressive. It’s inherited although Iris’ younger brother was fortunately born without it. This category of diseases includes more than 50 conditions. It’s estimated to occur in 1 in 360,000 newborns (with many children tragically passing away before it’s diagnosed). One of those born with the disease is the little boy in South Africa. And not only does he have the same disease as Iris…but, according to her parents, he is the only documented case in the world of a child with the exact same genetic mutation as their little girl. As the disease worsens, children with this condition suffer terrible seizures which consume their mind and body…and sadly, many of these kids finally succumb to pneumonia because their immune systems are so weakened. The family, from Berkeley in the USA, would desperately like to be put in touch with the little boy and his family in South Africa. Since posting their message, it has been shared by Rare Diseases SA a few days ago, and by a genetic scientist in South Africa who shared it amongst her genetics colleagues across the country, and others. If you are able to assist at all – please contact admin@sapeople.com or write directly to info@rarediseases.co.za.